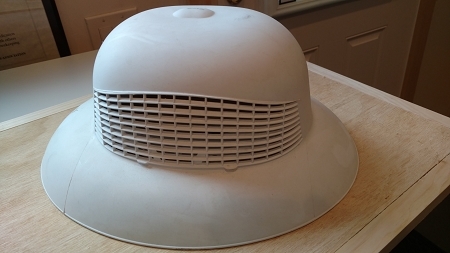 Plastic ventilated pith helmet provides great sun protection when you are working your bees. Use with a tie veil (sold separately) to protect yourself from stings. The helmet has side vents to provide plenty of airflow to keep you cool. There is an adjustable headband in this one-size fits all product.